Hello! 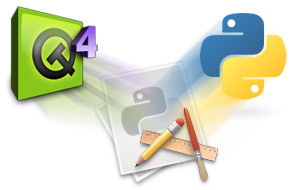 In my tutorial i’ll describe how to install PyQt4 on Os X manually. You can try installing by MacPorts or HomeBrew. I had tried both. But i couldn’t get the result what i wanted. So i managed my goal by installing and configuring manually. This is a tutorial on Mac OS X 10.8.4, with: Python2.7; with : PyQt-mac-gpl-4.10.4-snapshot-f32540dbcf98.tar.gz and with : sip-4.15.2-snapshot-14732b487dda.tar.gz. It should be the same on previous and next versions. How to install PyQt4 ?